Buster Posey is an American professional baseball catcher. Currently, he plays for the San Francisco Giants of Major League Baseball. He also played as a catcher at Florida State University and started his MLB career in 2009. He is a six-time MLB All-Star and has won World Series three times in 2010, 2012, and 2014. Buster Posey is married to his wife Kristen since 2009 and has twin children with her. He currently earns more than $20 million as annual salary and has an estimated net worth of about $45 million. Buster Posey was born as Gerald Dempsey “Buster” Posey on March 27, 1987, in Leesburg, Georgia. He is an American and belongs to white. ethnic background His star sign is Aries. He is the son of Gerald Dempsey Posey II (father) and Traci Posey (mother). He was the eldest child of his parents and has a sister named Samantha Posey and two brothers named Jess and Jack Posey. Posey attended Lee County High School where he played football, soccer, basketball, and baseball. After his senior season at Lee County, Buster Posey was awarded the Player of the Year, the Louisville Slugger State Player of the Year and many more awards by Georgia Gatorade. Just after graduation from high school, Los Angeles Angels of Anaheim selected him; however, he chose to enroll in college in place of signing a professional contract. Later on, he enrolled at Florida State University and played for the Florida State Seminoles under coach Mike Martin. In 2008, as a junior, he won the Johnny Bench Award and bagged the Collegiate Baseball Player of the Year Award. Buster Posey professional achievements left behind his college scores. In 2009, he started his career with the San Francisco Giants. In 2011, he underwent with severe injury and missed most of the game. He returned from the Injury in 2012 and went on to win the World Series. He won the Hank Aron Award that season while Miguel Cabrera won the NL Award. Posey extended his contract with the team in 2013. He also caught the first no-hitter, by Tim Lincecum, against the San Diego Padres. In 2014, he won his third World Series title defeating Kansas City Royals. He is with the team till date. Recently, he suffered a hip surgery that will keep him out of action for 6-8 months. 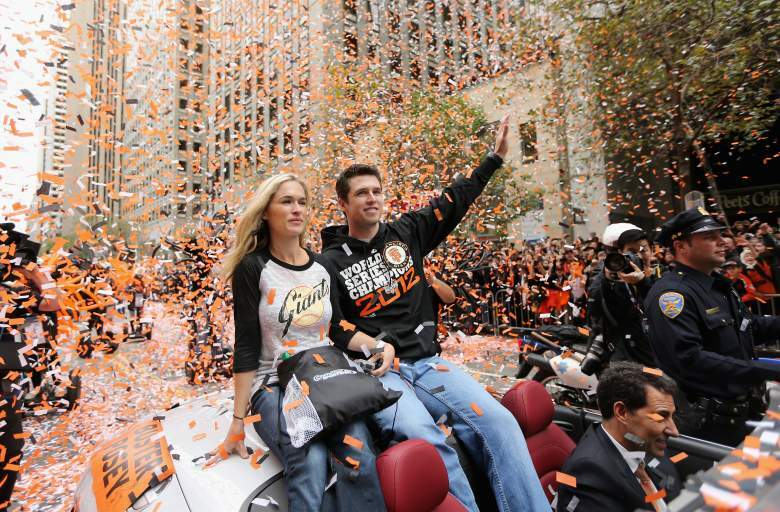 Buster Posey married his high school sweetheart, Kristen in January 2009. The couple met each other in the senior year of their high school while they took the SAT’s. They together went to the senior prom after Buster requested Kristen and have been dating since then. Buster and Kristen dated for about 4 years before getting married. The couple is proud parents of twin children born in 2011. The girl is named Addison and the boy is named Lee. He lives with his wife and children in the East Bay. Numerous awards and rewards have honored Buster Posey for his professional accomplishments. In 2012, he won the NL Comeback Player of the Year and NL Hank Aaron Award. In 2016, he bagged his first Golden Glove award after an extraordinary defensive season. Buster Posey has an estimated net worth of $45 million. He is currently signed to Giants with a $167 million, nine-year contract with an average salary of $19,875,000. The contract included a $7,000,000 signing bonus, $159,000,000 guaranteed. His salary for the 2018 season is reported to be $21,400,000 and an additional $25,000 as incentives and $777,777 as signing bonus. Buster Posey's annual salary for the 2019 is reported to be $21,400,000 but will reach to $22,177,777 including incentives and signing bonus. The contract also includes a year option with the annual salary of $22,000,000. Posey has so far made the earnings of $107,615,000 from salary and bonus in MLB. They also have a house in Georgia. Buster also owns a house in Lafayette, California bought for $4.6 million in 2013. In Addition. Posey has endorsement deals with various brands and is the brand ambassador of a car company, Toyota. He can be seen in the commercials, promoting the brand. My new #Toyota commercials air on Thursday, but you can see them right now on the @toyotafanzone Facebook page. 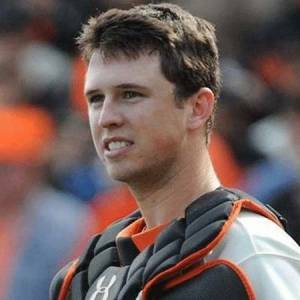 Buster Posey has a very good height of 6 feet and 1 inch, which is around 1.85 m. He is popular on Twitter and Instagram.